Building sites and building renovations are an ideal structure to use Building wraps as they never look their best whilst work is being undertaken. 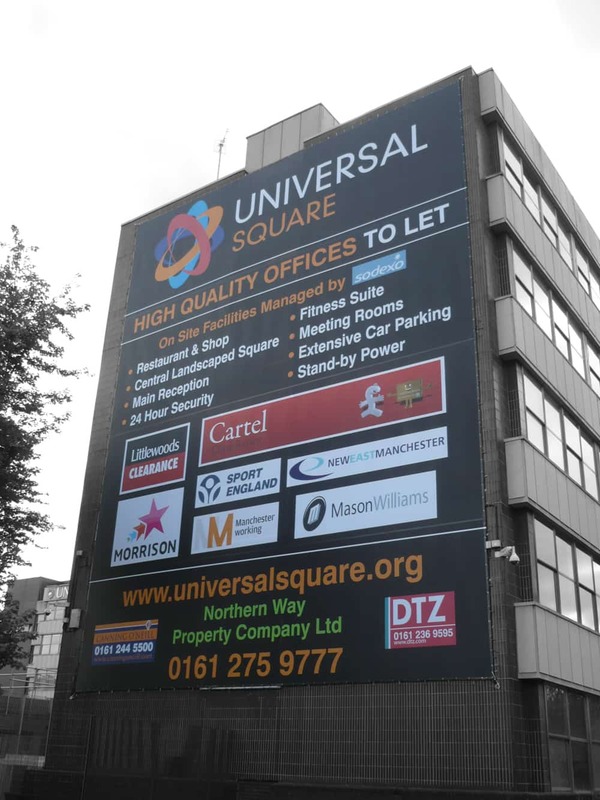 This is why printed building wraps fitted to the skin of any building renovation using a CGI image of what the development is to look like works really well. Giant Building Wraps keep your message in front of your potential customers 24/7. Your message needs to be targeted at the passing pedestrian and vehicle audience who you need to make an impact on. 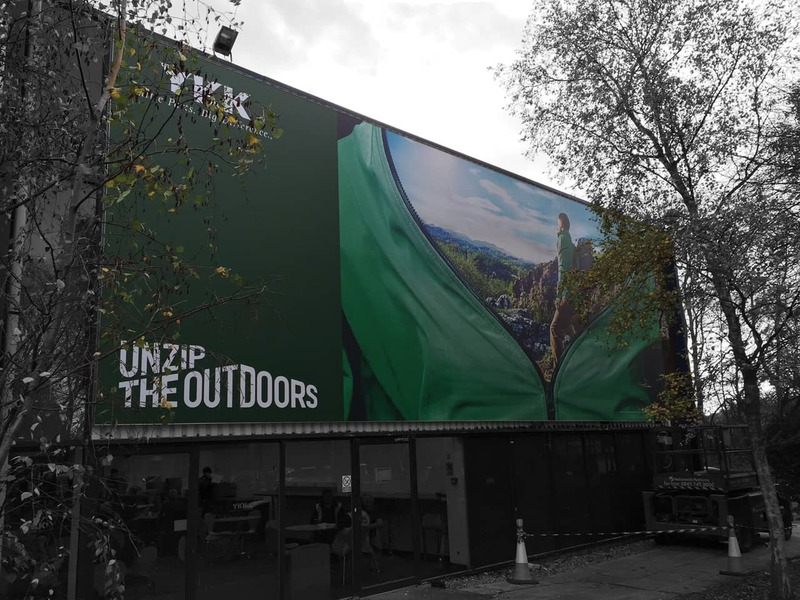 Building wraps are extra-large PVC outdoor banners covering the face or even an entire building with your bespoke high impact design. 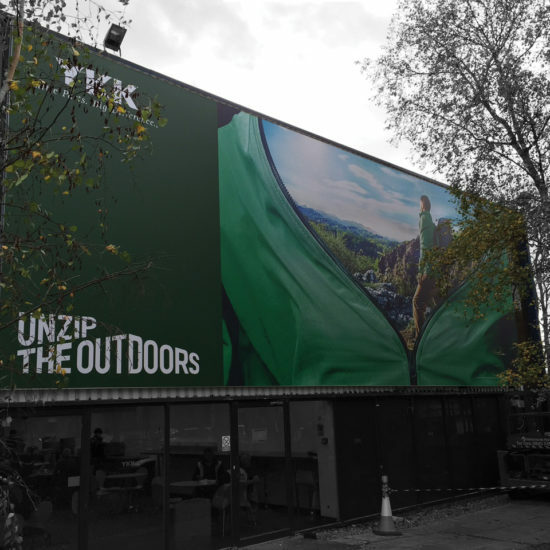 A printed building wrap is a perfect way to promote your building or messages or increase brand awareness. 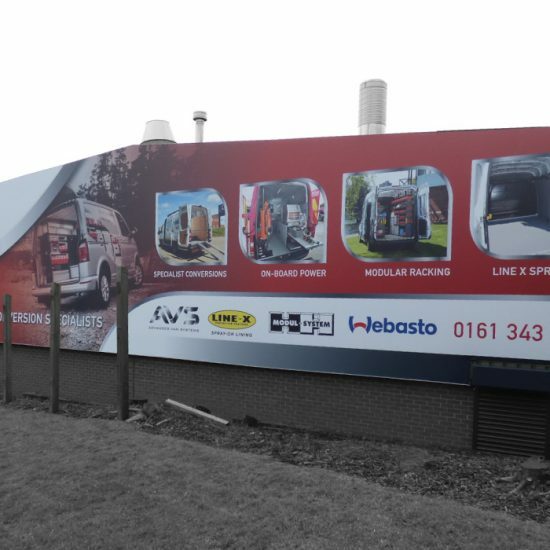 Building wraps are not always used for advertising, they can obscure building sites, buildings under-going work, they can also be used just as a protection screen with your logo on. 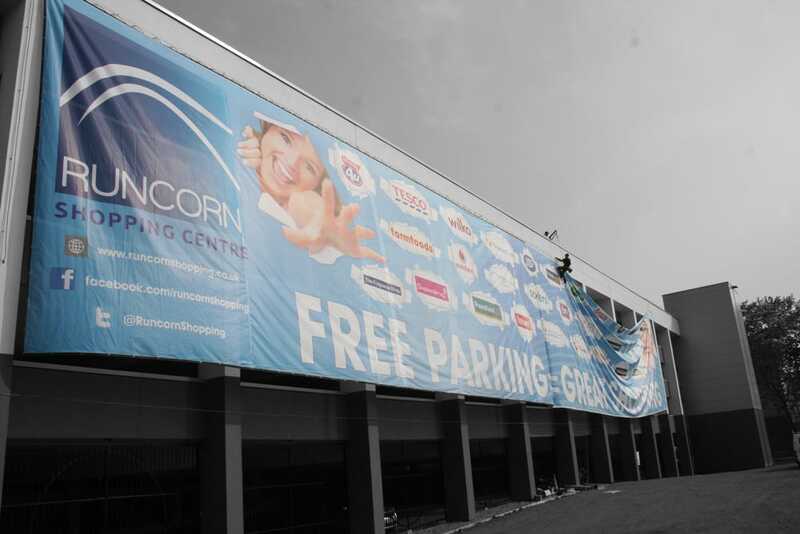 We also design and build high-quality conventional building signs. What frame systems do we use? This system can be used without the construction of a scaffold in order to reduce costs. They can be installed to suit a scaffold or building of any shape or size. 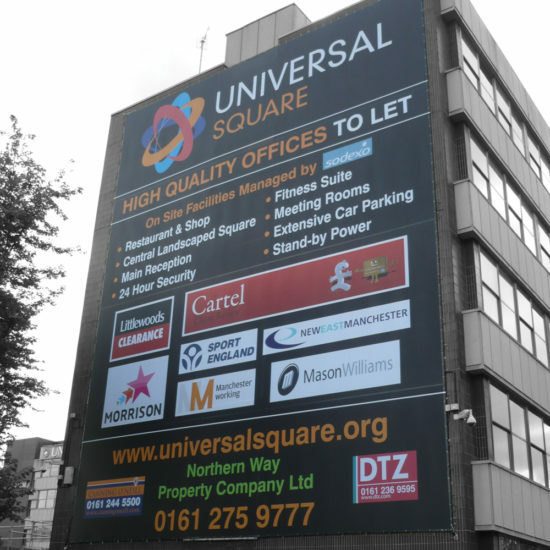 SNW can offer an array of different designs for any shape of building to suit your campaign. 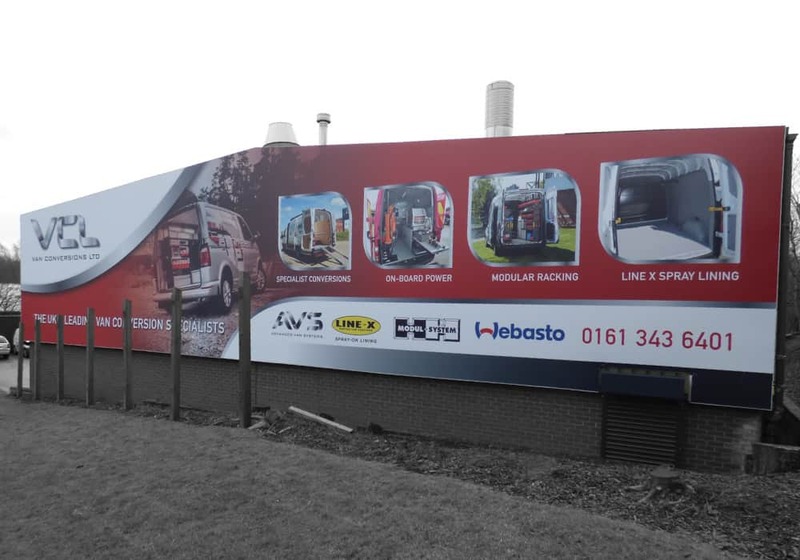 We print on a heavy duty 550gsm solid or mesh PVC or suitable substrate. Using mesh PVC allows the natural light to flood through to the workforce behind. Mesh eases the wind loading, allowing air flow through the banner. 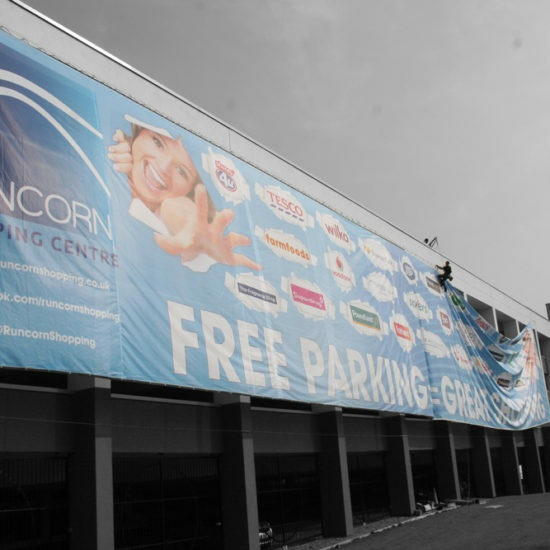 This system uses a thin Aluminium profile that can be fixed to any flat surface, the PVC banner is then fixed to the system using very strong plastic extrusion strips that are fixed into the channel giving you a drum tight banner.